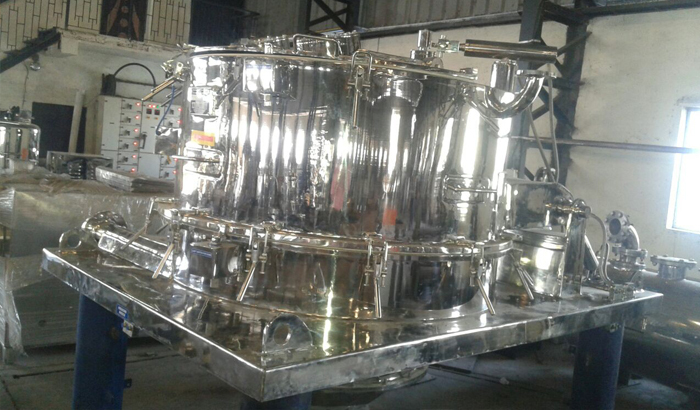 We are offering a comprehensive range of Three Point Lifting Bag Centrifuge Machine, which is developed by skilled and talented team of professionals. This latest version of centrifuge machine is demanded in chemical industry, food industry, pharmaceutical industry, powder filling machine, starch industry and water treatment industry. It is provided with filter bag, which collect all solid particles. Using the chain pulley in motorized mode, this bag can be lifted with ease and without any hassle. The discharge of solid cake in Three Point Lifting Bag Centrifuge Machine is instant that result in less human labor.